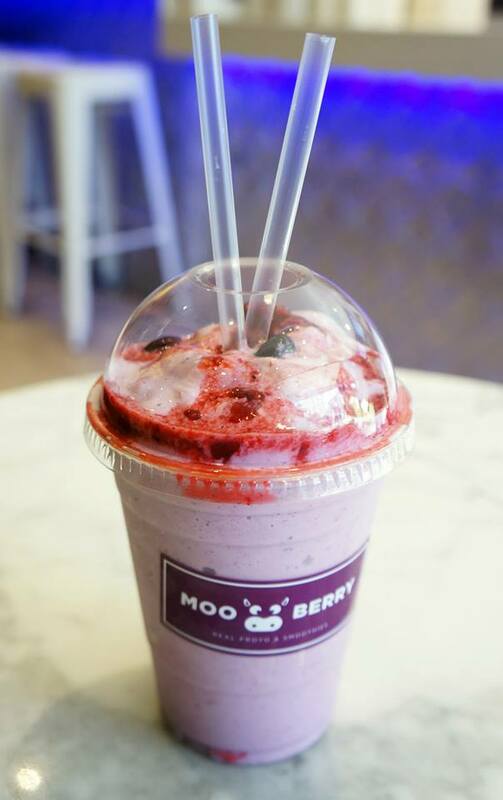 Mr C and I were recently invited to a tasting session by John X at Mooberry Real Froyo and Smoothies about 5 minutes walk from Newtown station. 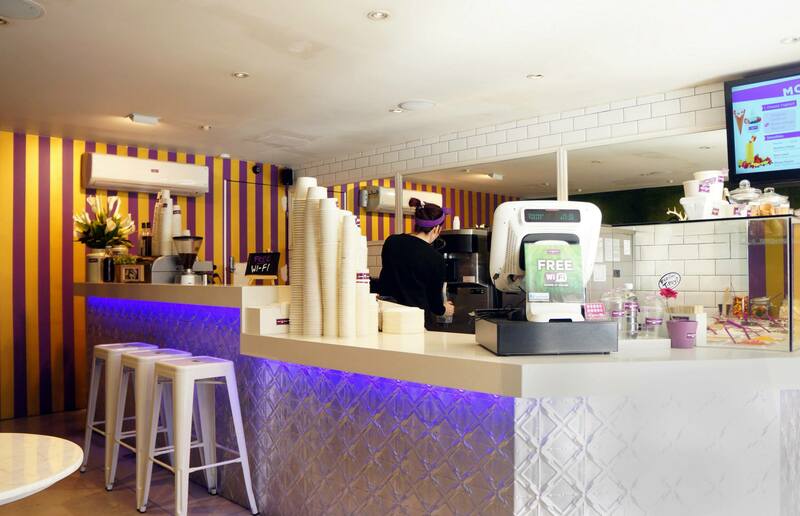 This latest addition to the Froyo craze is one of the newer arrivals and has a diverse menu which includes desserts such as churros, waffles and various smoothies. The store is the first one to open (not sure of expansion plans) and is run independently and privately. Upon arrival we were greeted by the usual friendly and cheery staff that I’ve come to associate with froyo joints and were recommended a number of different menu items to sample. 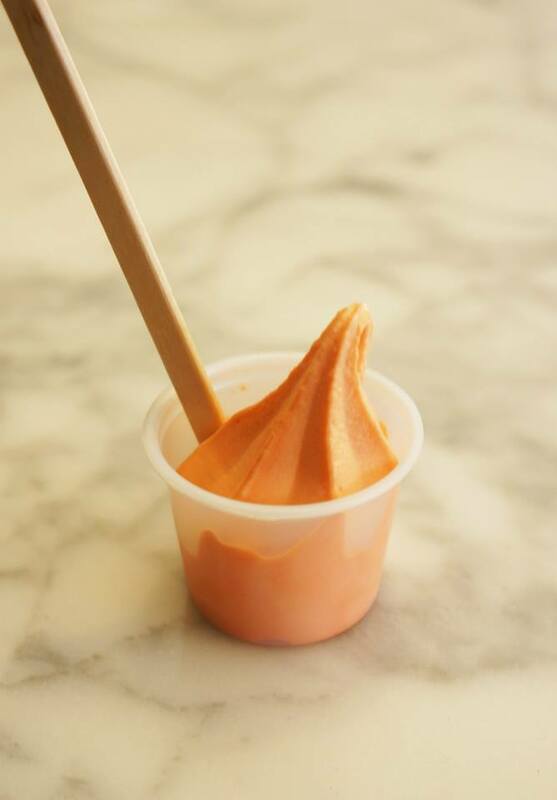 The image above is the Coconut Froyo Affogato which we knew we had to try the moment we saw it on the menu. Miss K and I recently tried making affogato at the Sydney Good Food and Wine Festival and loved it so much that we wanted it again (this was about a week afterwards). I’m happy to say that the coconut froyo and shavings in the affogato went really good with the espresso shot to create a smooth and delicious dessert. When I saw that they had biscotti and blood orange froyo as their alternative flavours from coconut I decided to try them out to see how they compared to other froyo places which serve the same flavours. 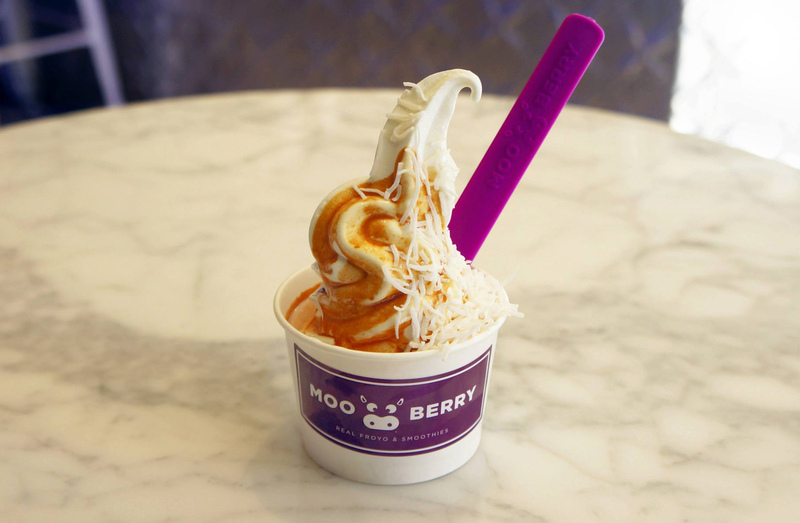 The best way to describe the froyo at Mooberry is that it’s much creamier and more smooth in texture, whereas the other chains such as Noggi and Moochi make it more icy in texture. 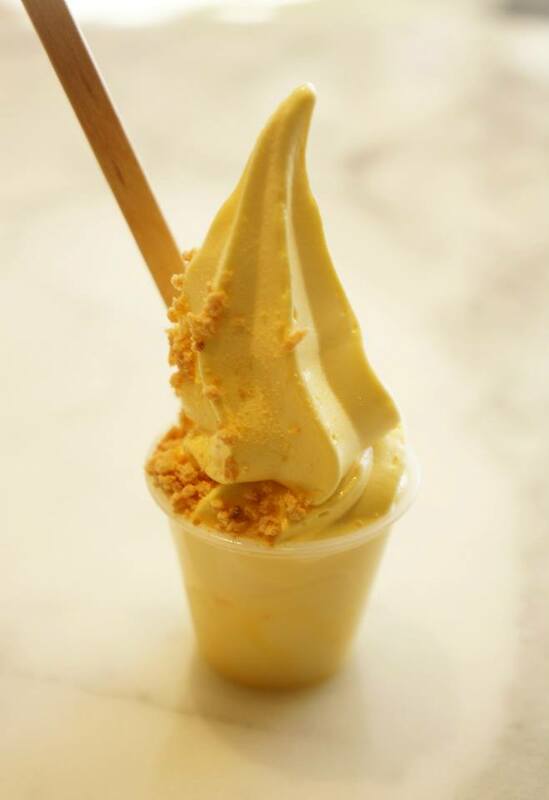 Our next item to arrive was the Lychee Smoothie which used a number of exotic ingredients as well as coconut froyo to create a nicely blended drink. I really liked this one as it was very smooth and full of flavour, plus I’m a pretty big fan of Lychee regardless! 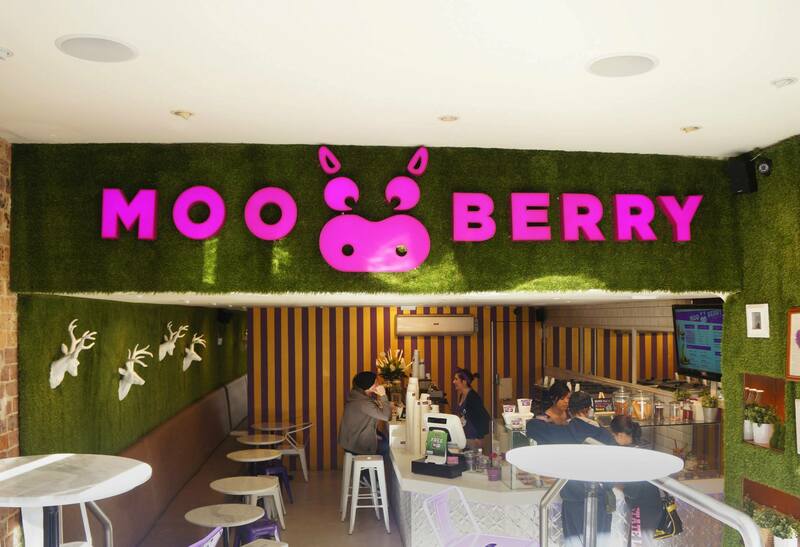 I really liked the interior of Mooberry, it looks very bright and inviting fro outside with interesting wall art including an image of Mona Lisa eating froyo! 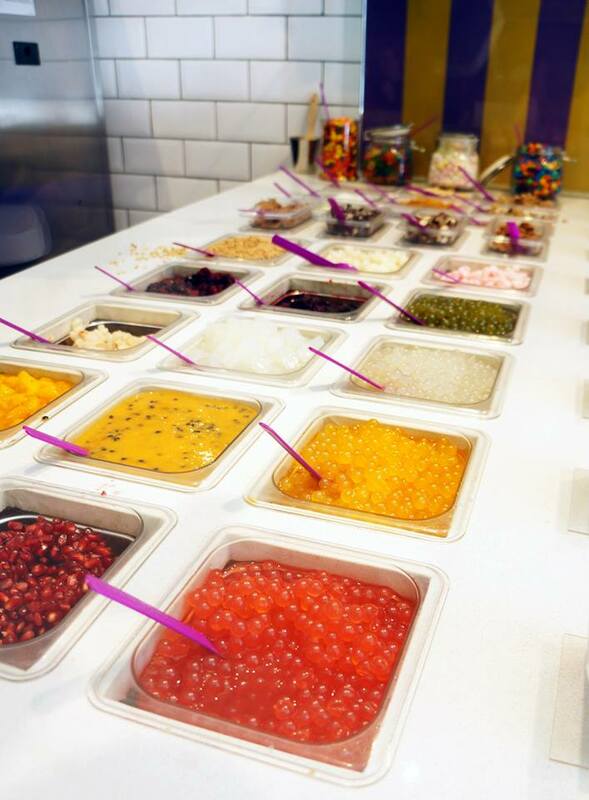 The prices are generally between $2-12 depending on what you order and is no more expensive than other froyo joints. Overall I walked away with a good impression and would go back for a visit for that creamy froyo again! ive walked past this place a few times and loved the interior! must go check out what they have to offer!